Vendors almost puff up as they make assertions about their new wares, but the proof usually plays out a little further in the future. Claims from database giants Microsoft and Oracle for their respective data platforms were tested at recent conferences focused partly on their database technologies, according to TechTarget reporters back from the Oracle OpenWorld 2018 and PASS Summit 2018 events. The PASS conference was notable for word on Microsoft Azure SQL Database developments. It is due to be updated on Dec. 1 in the form of a high-end release of the Microsoft Azure SQL Database Managed Instance cloud service, which first debuted in a general-purpose version last month. The new Business Critical release, the company now admits, addresses restrictions that have put Microsoft's cloud database at a disadvantage versus on-premises SQL Server. This time, it is more nearly equivalent on functionality in comparison to the venerable on-premises database technology. 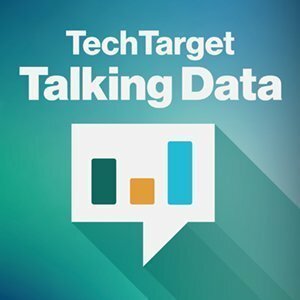 In this podcast, Craig Stedman, senior executive editor for SearchDataManagement and TechTarget's other data and analytics websites, outlines the progress claimed for Microsoft Azure SQL Database, which includes support for increased database sizes that will put it more on par with the large data stores that are usually found today. Reporting on the Oracle end of the spectrum, Jack Vaughan, senior news writer for SearchDataManagement, said in the podcast that Oracle is placing significant attention on Oracle Cloud at Customer as a way to prepare on-premises Oracle databases for the eventual move to cloud. Meanwhile, data managers and their corporate counterparts at OpenWorld were scrutinizing the vendor's autonomous cloud services based on Oracle Database 18c -- with the upcoming Oracle 19c to follow -- as they together plotted their courses to the cloud. Automated indexing is next on the docket for the Oracle Autonomous Database cloud technology -- although, as was evident at the conference, its advance will be somewhat incremental. The podcasters agreed it will take some time for database administrators (DBAs) to formally sign off on the cloud version of the Oracle database. Many DBAs harbor some worries about Autonomous Database's auto-tuning and performance monitoring capabilities. In the end, the podcast discussion naturally turned to Amazon and its AWS cloud platform. Amazon's success in the cloud has, in no small part, spurred Oracle and Microsoft cloud efforts, both database-oriented and other. What benefits and challenges do you see in moving to cloud versions of common databases used in your organization?